I’ve made this recipe several times and it is a definite keeper (from buttoni.wordpress.com). It is a great dessert for the summer time. This recipe makes 8 servings and has approximately 6.9 net carbs but it depends on which fruit topping you use. 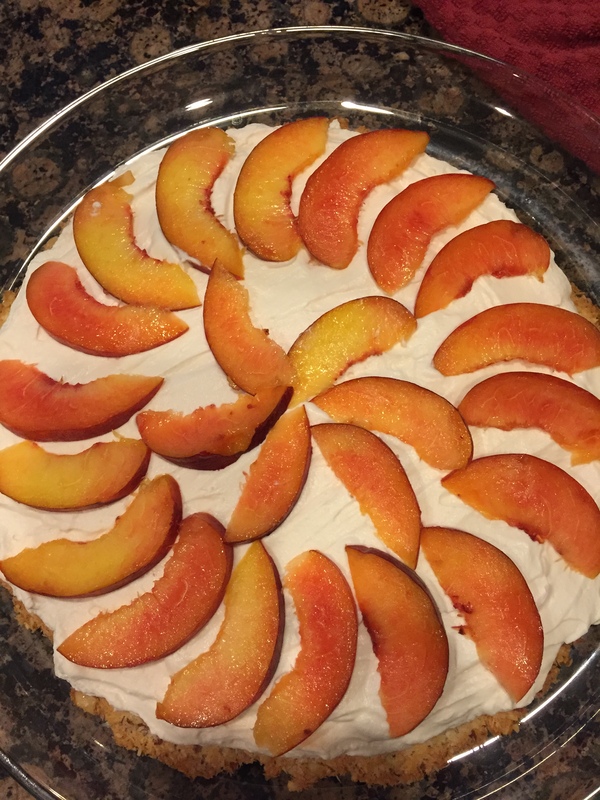 I made one of these pizzas with strawberries and one with peaches. It would also be great with blueberries or raspberries (or a combination). The crust is made the day before because you need it to sit in the fridge overnight. Line a pizza pan with foil. Grease a 9-10″ circle with butter. Combine all crust ingredients in a bowl and stir well. Using fingers, spread and press firmly the coconut crust mixture into a 9-10″ circle on a greased sheet pan. Bake at 325 degrees for 20-25 minutes or until lightly browned. Cool on a wire rack. Refrigerate overnight. 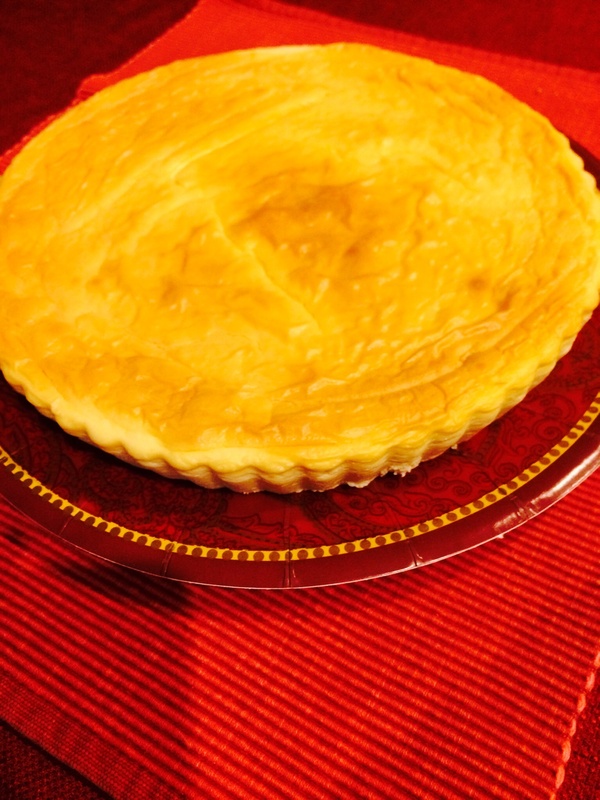 The day before you want to serve, place crust on flat cake plate. Whip cream with a splash of vanilla and sweetener of your choice. (I used cinnamon vanilla once and french vanilla the other times.) Also add a dusting of glucomannan powder to the whip cream to firm it up. If doing the variation with cream cheese, add it at this point and stir well. 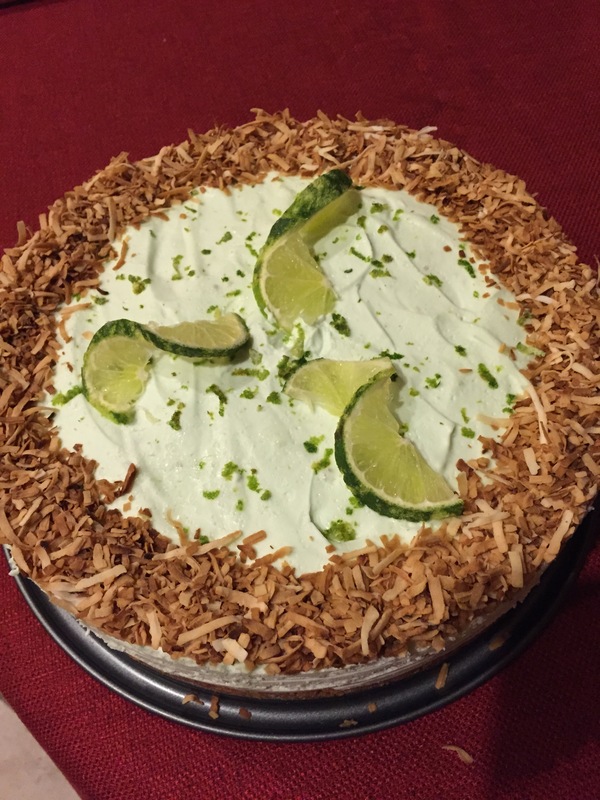 Spread the whipped cream mixture evenly over coconut crust and top with fruit. Chill for an hour and then cut into 8 wedges and serve. 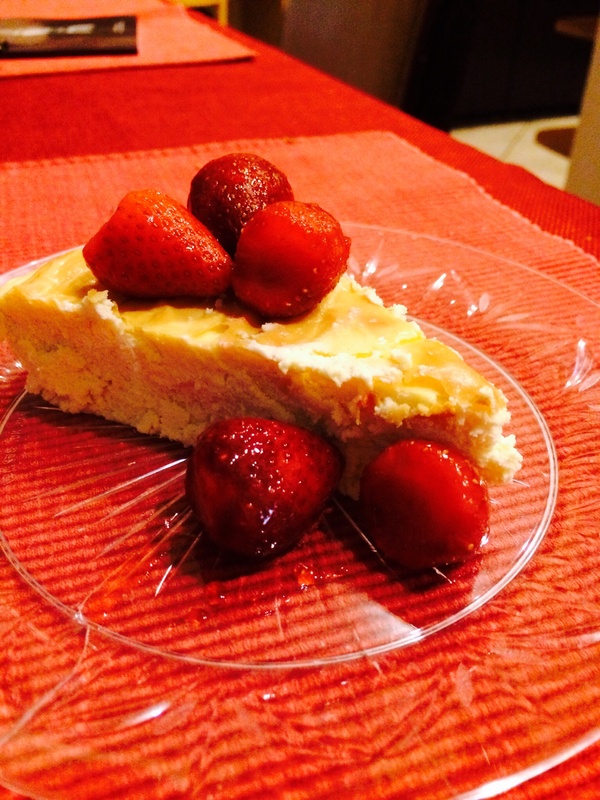 This is a great dessert my whole family loves (thanks to Andres at the-lowcarb-diet.com). It makes approximately 9 servings and has 2.56 net carbs each. Melt and whisk butter and peanut butter together. Whisk in the cream cheese and sweetener until well blended and smooth. Add the protein powder and mix well. Butter an 8-inch non-stick baking dish (or line with buttered parchment paper). Pour the fudge mixture in the pan. Melt chocolate chips and drizzle on top of fudge. Let chill until set, at least 1-2 hours. Cut into squares and serve. Fudge can be stored in the fridge or at cool room temperature in an airtight container. 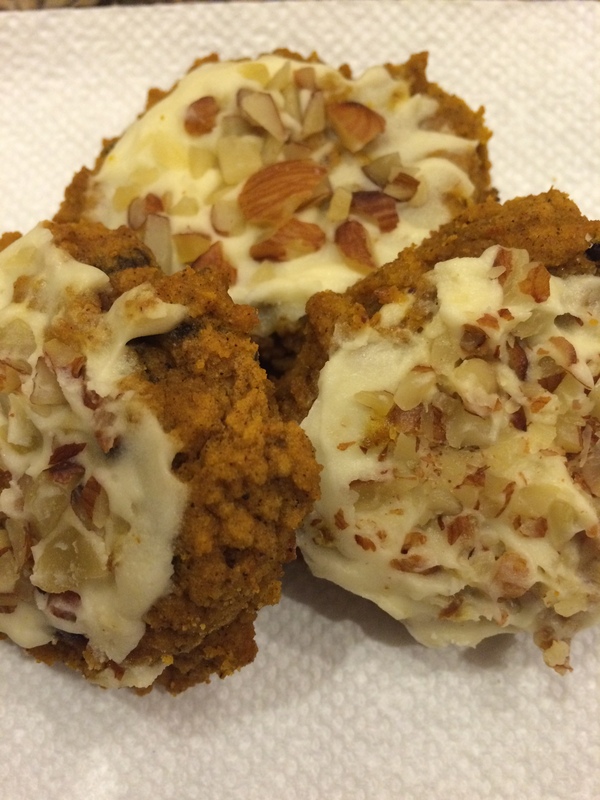 This is a wonderful low-carb, healthy version of my family’s favorite iced pumpkin recipe from allrecipes.com (the one that contained sugar, flour and 22 carbs). I do not have the carb count for this, but I’m estimating each cookie has approximately 4-5 carbs each. For a lower carb count, you could cut down the Splenda to 1-1/2 cups and not add sugar-free chocolate chips. Enjoy! 1/2 cup Swerve confectioners’ sugar or 1/2 cup Splenda (put into a food processor and blend until it becomes a powder or put it in a baggie then roll your rolling pin over it a few times until it becomes a powder. In a small bowl combine coconut flour, baking powder, baking soda, cinnamon, nutmeg, ground cloves and salt. Set aside. In mixer with paddle attachment, cream butter and Splenda. Add pumpkin, eggs and vanilla and beat until creamy. Add dry ingredients while mixer is running. Turn off mixer and stir in SF chocolate chips. 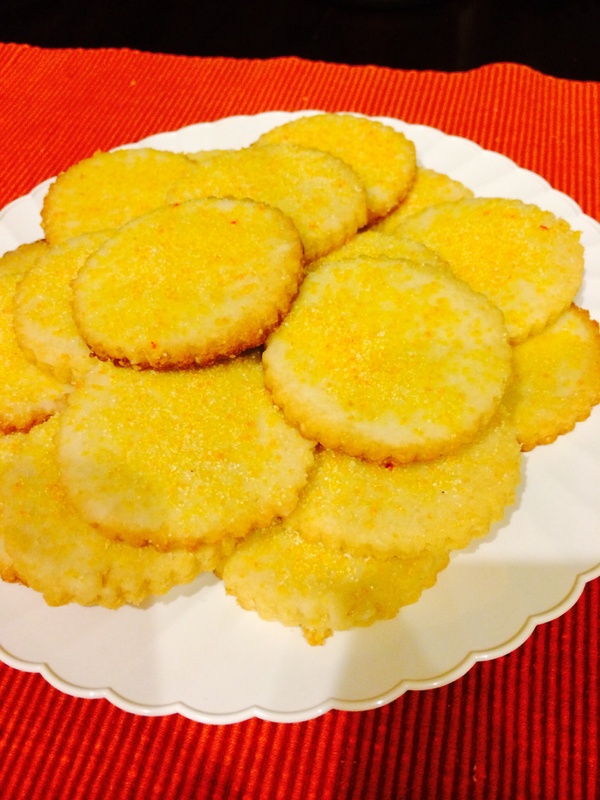 Drop on cookie sheet by large tablespoonful. Flatten slightly. Bake for 17 to 20 minutes in the preheated oven. Cool cookies on wire rack, then drizzle glaze with fork. After glaze has set (20 or 30 minutes), sprinkle with chopped nuts. To Make Glaze: Combine Swerve or Splenda confectioner’s sugar, heavy whipping cream, melted butter and vanilla extract. If glaze is too thick, add a little more cream. PLACE the oven rack in the center position, and preheat to 400 degrees. Spray an 8-inch springform pan with nonstick cooking spray. Wrap the entire outside of the springform pan in aluminum foil to prevent water from seeping into the cake. MAKE a water bath so the top of the cheesecake won’t split as it bakes: Pour about 1 inch hot water into a shallow roasting pan big enough to hold the cake pan, and place it on the center rack of the oven to heat. WITH an electric mixer on low speed, beat the cream cheese, ricotta and sugar substitute for about 1 minute, until well blended. IN a separate bowl, whisk together the cream, vanilla, lemon juice, eggs and yolks. TURN the mixer on medium speed and slowly pour the egg mixture into the cream cheese mixture. Beat just until blended; be careful not to over-whip. POUR the batter into the greased springform pan, and smooth the top with a spatula. Place the pan in the heated water bath, and bake for 15 minutes. LOWER the oven temperature to 325 degrees. Continue baking for about 1 1/2 hours, until the top is a light golden brown and the cake is pulling away from the sides of the pan. REMOVE from oven and let cool on counter for 1 hour, and then refrigerate at least 8 hours before slicing to serve. 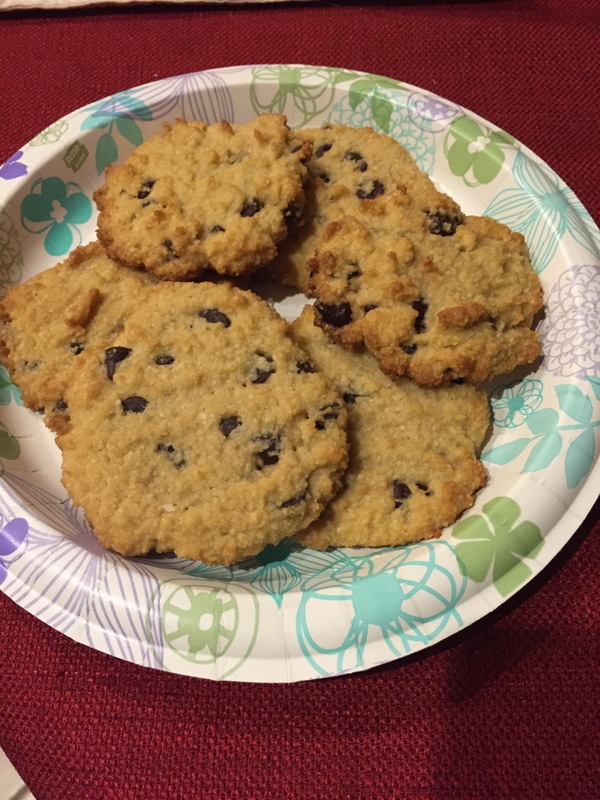 This recipe comes from George Stella and is my favorite cookie recipe so far! 2 net carbs per cookie. PREHEAT oven to 375°, and line a sheet pan with parchment paper. USING a stand or hand-held mixer, add the cream cheese, butter, sugar substitute, egg and vanilla extract to the mixing bowl, and beat on high until creamy and fluffy. ADD in Almond Flour, baking soda, cinnamon and salt, and mix on medium until well blended. USING a teaspoon or 1 ounce ice cream scoop, drop 16 evenly spaced cookies on the prepared sheet pan, and push down slightly on each. 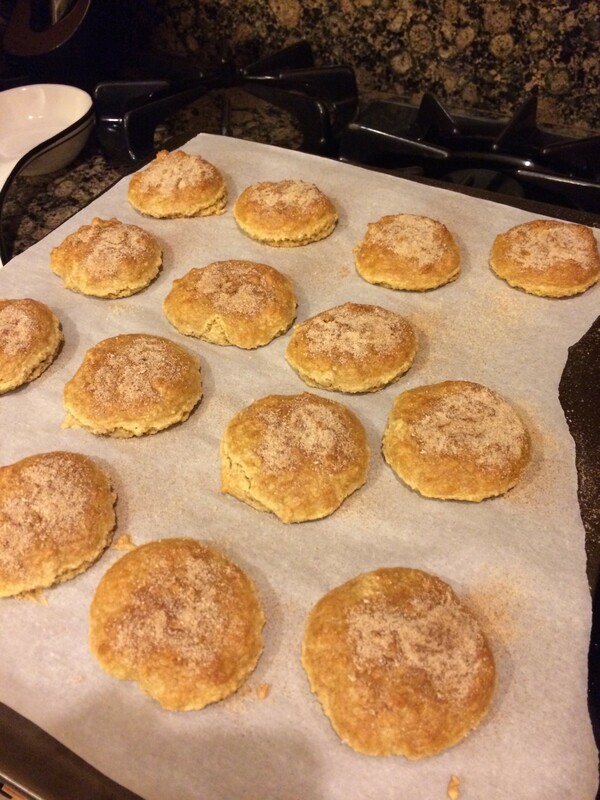 COMBINE the cinnamon topping ingredients, and sprinkle evenly over the top of each cookie. BAKE for 8-10 minutes, or until they begin to brown around the edges. Let cool 10 minutes before serving.